Hi. I am looking for either a ocelot, caracal or serval as I appreciate the beauty, intelligence and characteristics of all these cats... I would love to have one of my own to love. What are your asking price? Please email me! I am interested in purchasing one on those beautiful cats. Can you please email me back with prices and where they would be coming from. i love these beautiful and i was wondering the price you are offering for an ocelot,serval, or a caracals? please and thank you!! I am interested in buying an ocelot kitten. I wanted to know how much for one. 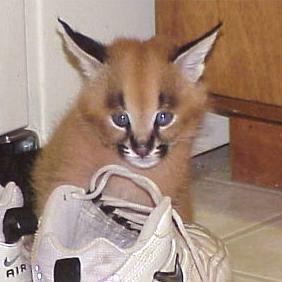 I am interested in your baby caracals. I have an older female now I have experience raising lemurs, camels, capuchins, mountain lions etc.... I have plenty of experience. I was also wondering where you are located? Do you have a male serval or caracal kitten, if so how much, can I pick it up. 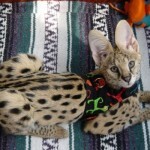 I am interested in a female serval kitten. Could you please email me back with price info, kitten age, and location? We have been searching the internet ceaselessly to find a Margay! Help! Any information would be welcome as I have not been able to locate a single kitten for sale. Please contact me with info on available caracal kittens. Looking for an ocelot kitten. How much? I wan to purchase a kitten. looking for an ocelot kit. do you have any ocelot kittens. i live on 132 acres. I am looking for a serval. How much and where are you located? I am interested in a serval kitten/s, and I have friends who like a pair of them as well for their nature reserve. Could you please give us more info regarding costs and where you are situated? Would like to know the purpose of this forum, as it seems that one never get a reply neither are tere any contact details of any breeders? Dear Kevin, Gaza, Debora & Butler. Could you please give me more information regarding the serval kittens, where you located and prices? I am interested in a kitten if you have any available. Please email me. Otherwise I think I might be too late. 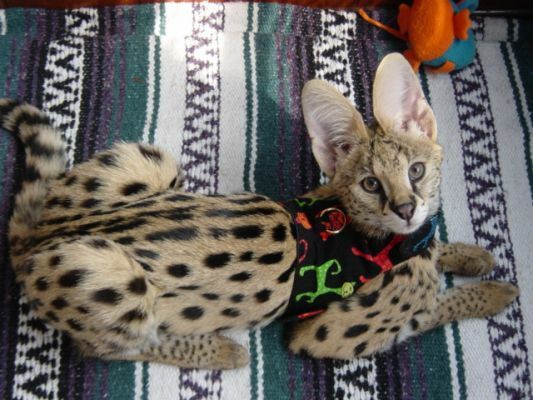 I am interested in buying a serval cat. Do you have any left? if so how much do they cost?